While Black Friday shoppers found countless deals on all kinds of smartphones, one device was overtly left out of the price cuts — the iPhone X. Walmart was the only store to offer a promotion on the newest Apple device, and even then, it was difficult to find. Cyber Week appears to have repeated recent history, with only one store offering a special on the iPhone X, but it's not Walmart this time. Best Buy usually has a decent selection of deals and specials for smartphones and accessories during the holidays, and iPhones are no exception here. However, like Walmart with Black Friday, Best Buy's not boasting about its iPhone X sale. If you check out their Cyber Week smartphone page, Best Buy proudly displays a deal on the iPhone 7, with no X to be found. You need to do a little digging to find your Cyber Week savings on an iPhone X, but it's worth it for sure. Best Buy is offering a free $250 gift card when you trade up to the iPhone X. The iPhone must be activated through an installment program with AT&T, Verizon, or Sprint. AT&T offers plans over 24 or 30 month periods, while Verizon and Sprint offer only 24-month plans. The deal is only valid with a qualifying trade-in. If you aren't coming from an iPhone, that's bad news. However, current iPhone owners should get excited, since you can slash your iPhone X's price tag by up to $325 (that winning ticket would be a 256 GB iPhone 7 Plus on Verizon). 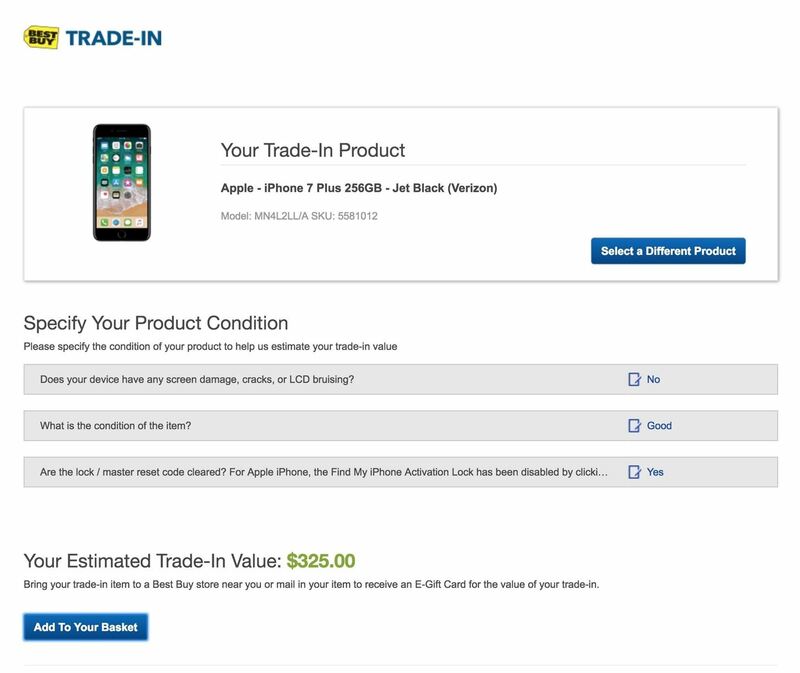 Use the trade-in calculator to estimate your iPhone's value. With the right trade-in, you can walk away from Best Buy with an iPhone X for as low as $675 (split over 24–30 months), plus a $250 gift card towards your next Best Buy purchase. Not a bad deal at all. Eligible iPhones include the iPhone 5, 5S, 5C, 6, 6 Plus, 6S, 6S Plus, SE, 7, and 7 Plus. While it doesn't appear related to Cyber Week, Best Buy also features a Sprint deal that might interest those without a qualifying iPhone to trade-in with Best Buy. Sprint is offering a whopping $350 off the iPhone X for your eligible iPhone or Android device. The deal requires you to purchase the iPhone X through Sprint's 18-month Flex-Lease plan, with your trade-in credit applied over the course of your installments. Unfortunately, with this plan, you don't receive the $250 Best Buy gift card. You should consider which deal is worth more to you — $350 off with a Sprint plan, or up to $575 in savings with Best Buy, with the right iPhone trade-in, of course. iPhones eligible for this promotion include the iPhone 6, 6 Plus, 6S, 6S Plus, 7, 7 Plus, 8, and 8 Plus. Android devices include the Samsung Note 8, Galaxy S8, Galaxy S8+, Galaxy S7, Galaxy S7 Edge, Note 5, the LG G5, G6, and V20, the Google Pixel, Pixel XL, the Motorola Moto Z Droid, Moto Z Play, Moto Z2 Force, Moto Z Force Droid, Moto Z2 Play, the BlackBerry KEYone, and the HTC U11.